A fantastic all-purpose seating solution, the Sy Side Chair by Eurostyle is modern, chic, yet also incredibly comfortable. This set of four seats has a stainless steel leg construction for long-lasting durability in any space you choose to place it in. 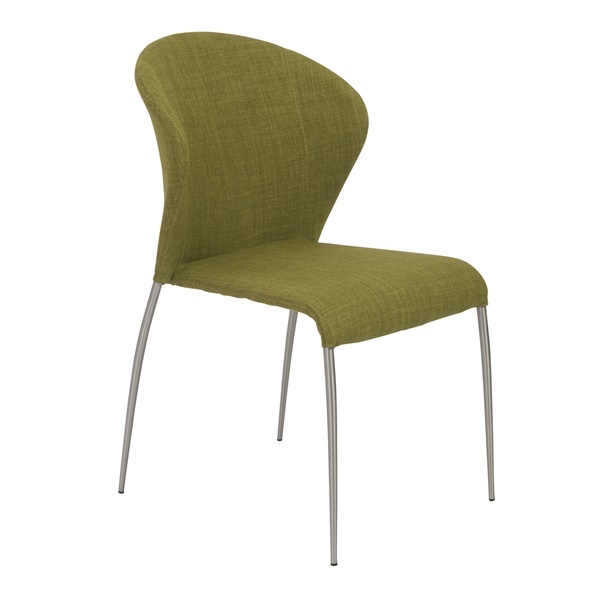 The body is curved and contoured, with a fan-like profile that adds elegance in addition to body-cradling support. The light cushion is visually unassuming but physically noticeable. The fabric over the foam seat and back is available in a palette of joyous and bold colors to add a touch of fresh fun to your modern home.